Stretching the One Income Dollar: Is Your Oven Working Overtime? Is Your Oven Working Overtime? It is that time of year again. Everyone’s oven is working overtime as they bake all of their favorite treats. Unfortunately, baking can be rather time consuming. Have you ever tried to make pie crust from scratch or bake a cheesecake? These tasks are no doubt rewarding, but also take a huge chunk of our time. Most of us just don’t have that kind of time between work and the kids we are pulled in so many directions. Luckily, not all baking has to be hard and time consuming, I always like to look for easy recipes that are fun, fast and still taste great. Additionally, with easy recipes everyone can get involved, even the kids. 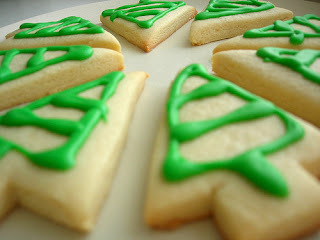 Kids love making sugar cookie cut outs, which are easy yet delicious. Another option is a no bake cookie recipe, which is safe for the kids and fast for you. It is a great time of year to spend time in the kitchen with family baking up some of your favorite treats, and you know you are going to need them. After all, you have work parties and your child’s class party, so everyone is asking you to bake this season. What are some of your favorite easy baking recipes?